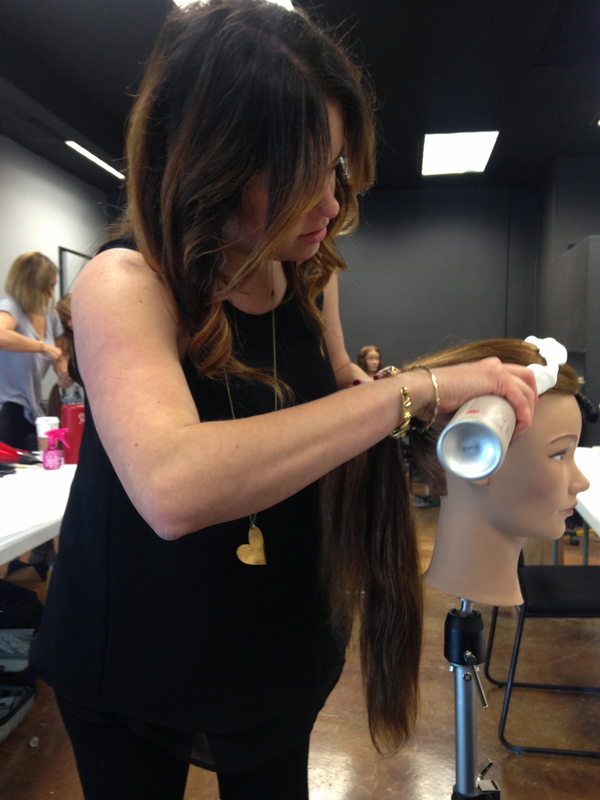 After signing up for a hands on styling class, I really had no idea what I would be learning or experiencing. Little did I know that on Sunday, April 12, 2015, that I would be exactly where I need to be. 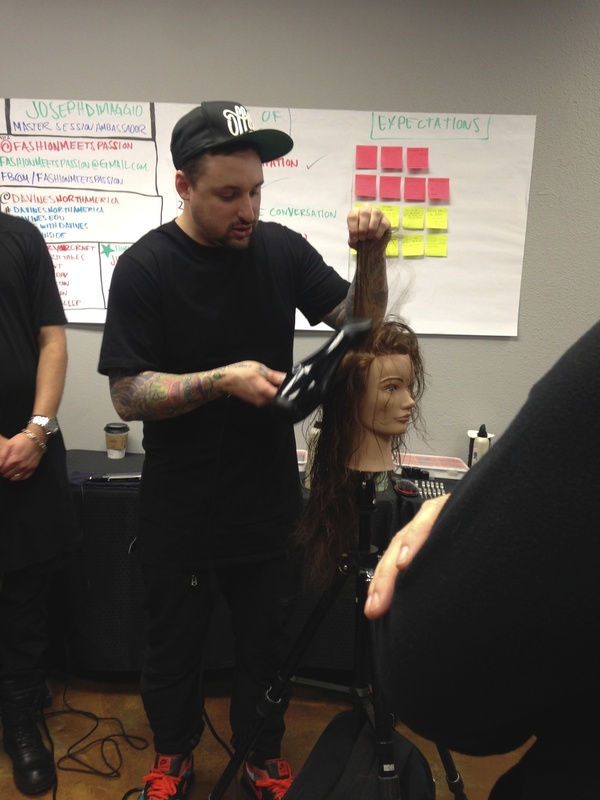 Joseph DiMaggio is a Master Session Ambassador for Davines North America. He resides in New York City, where you will find him working behind the scenes of New York Fashion Week. He has worked with top designers for photo shoots and has been published in numerous magazines. Joseph travels domestically and internationally teaching his amazing techniques in styling and cutting. Not only is he a phenomenal stylist, but he also has an engineering background. Joseph's knowledge is out of this world and it will truly blow your mind. To top it off, he is sincere, genuine, kind, focused, and is absolutely passionate about hair and encouraging people to follow their passion with this business. All around, he is a solid dude. I can not say enough positive things about this man. His personal motto and philosophy, "Live and do everything with intent." A man after my own heart. Joseph brought an assistant with him, Patrick G. Nadeau, a freelance hairdresser and educator from Montreal. Like Joseph, Patrick has been published and works behind the scenes of Fashion Week. His natural knack for styling and educating is obvious with how he works in partnership with Joseph. Together, they make a powerful team. It's a beautiful thing when educating comes as easy and flawless as it does for these two. Overall, my experience with these talented men was amazing. They have broadened my knowledge to styling beautiful and healthy hair. I gained new techniques for runway styles that are wearable for everyday and I now have added skills for in salon styling as well as styling for weddings, fashion and photo shoots. Thank you Joseph and Patrick for your amazing education. 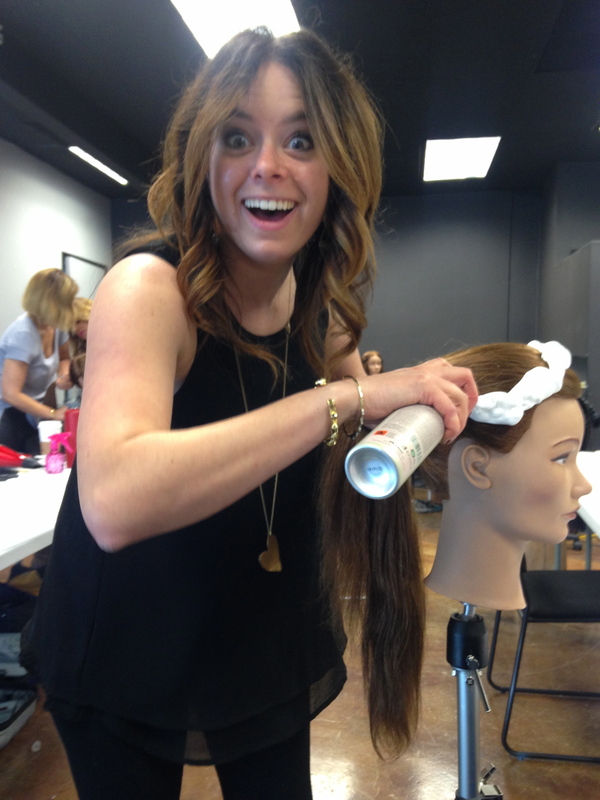 This was definitely the best hands on class I have ever experienced and It will truly help to further my career. Today marks 3 years since I woke up in my new home in Bend, Oregon. I moved to Bend on a whim and had no idea what I was doing or what was in store for me. I wouldn't change a single thing about these last 3 years. God had a plan for me to move here and I try to listen to Him daily. Letting Him guide me in this crazy life is easier said than done, but He is gracious and has opened so many doors and opportunities for me. I don't know what is in store for the future, but I sure am loving the present. I am beyond thankful for this beautiful place I get to call home and for this life that I have made for myself in Bend. Balayage is becoming the most requested color service in salons all over the world. Remember those beautiful sun-kissed highlights you had as a child? This technique allows for that natural softness without the obvious grow out. It has been around since the 1970s and it's been making its way to the top ever since. Balayage is a french word that means "to sweep" or "to paint", which is exactly how stylist achieve this look. It is done by freehand painting the surface of the hair, lightly saturating between the root and the mid-shaft of the section and completely saturating as you move down the strand by the time you get to the ends or "tips" of the hair. This allows for natural dimension and contrast from root to end. Each stylist has their own techniques, so the results will always vary. What's the difference between traditional foil highlights and balayage, you ask? Foil is more precise and the grow out is more noticeable, unlike balayage which is freely placed and scattered all over the head or just in certain sections with no noticeable starting point. Both techniques have their own place in the hair world. It's all about what fits your head of hair and how much maintenance you would like to do. Maintenance is very low with balayage. You can touch it up as much or as little as you like. Typically, when my clients reach their desired balayage color, they will come in anywhere from 8-10 weeks to refresh it. Using a professional color safe shampoo and conditioner will help protect the color in between appointments, helping it not to lose its luster and healthiness. Balayage is one of favorite services I offer in the salon. I have endless techniques and methods, making this a completely customizable color. No two clients look the same and I love that. Being able to personalize someone's color, no matter if they are light or dark and emphasizing their best features with a very soft look is what makes me fall in love with this service each time I do it. Whose ready for some balayage highlights?